My stay lasted 2 months (July-August 2010). A like… Allemagne. See “G like Germany”. B like… Brandenburger Tor. Berlin’s most famous gate. 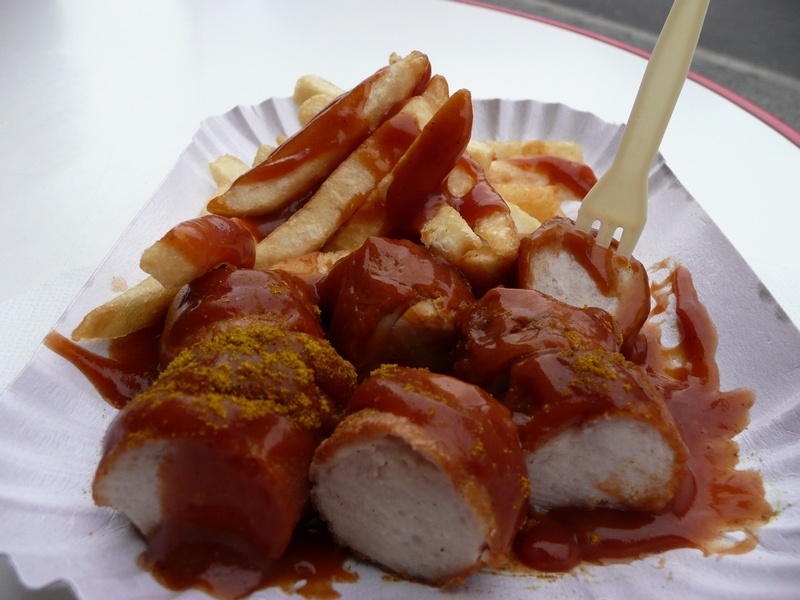 C like… Currywurst. A Berliner sausage served in pieces and with a tomato sauce sprinkled with curry, hence the name, plus chips. A light and healthy snack to savour without moderation. A sausage that has its museum! D like… DDR. Deutsche Demokratische Republik (1949-1990). Deceased country whose capital was East Berlin. E like… España. I was with countless German fans in Berlin the day they lost against Spain in the semi-finals of the 2010 World Cup. The decisive goal from Spain instantly restored its usual calm to Tiergarten, the large park in the city centre. Germany did much better 4 years later. F like… Friedrichshain. A district of Berlin, in which the Karl-Marx-Allee and its colourful architecture (see photo) are located, as well as – just for a weekend – the longest beer garden in the world. G like… Germany. Country whose capital is Berlin. H like… Hauptbahnhof. Berlin Central Station. 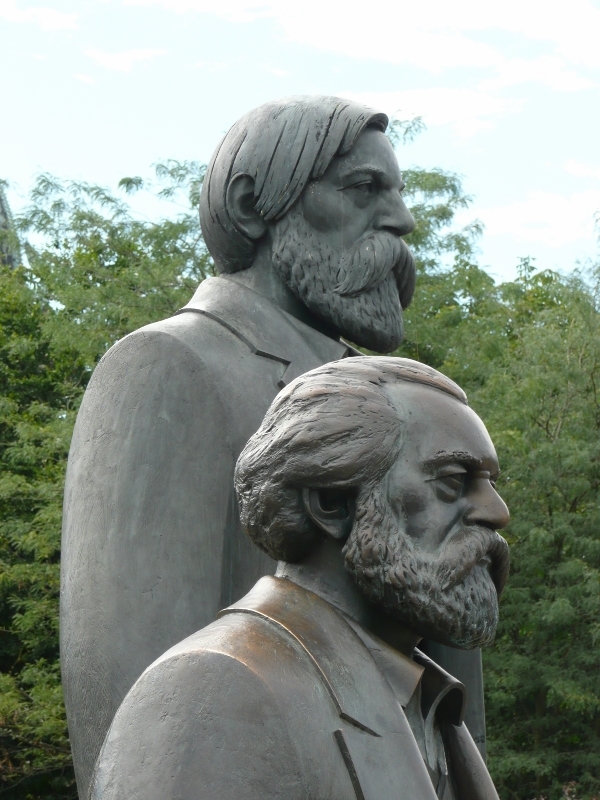 Inaugurated in 2006. I like… Innumerable! Well, OK, numerable, they are 166! 166 museums in Berlin! Have a nice time! J like… Jura. One thing I’ve learned during my German lessons: in German, Jura is not only the name of a Swiss province and some Swiss mountains, as well as a famous Scottish island (well known by whisky lovers), but it means “law”, I mean, the “law” you study at University. L like… Linden. Lime, in English. There are many, the lime trees in Berlin, more than 150,000. M like… Mauer. The Wall. The Berlin Wall. Probably the best known of all the walls. N like… No, the Berliner Ballen do not come from Berlin. A local variant exists, however, and is called Faschingsbrezeln. O like… Oh yes. Yes, indeed, the Berlin comes from Berlin! P like… Potsdam. A town near Berlin. Potsdam and the Sanssouci Palace, built by the famous architect Georg Wenzeslaus von Knobelsdorff. Q like… Quarter. 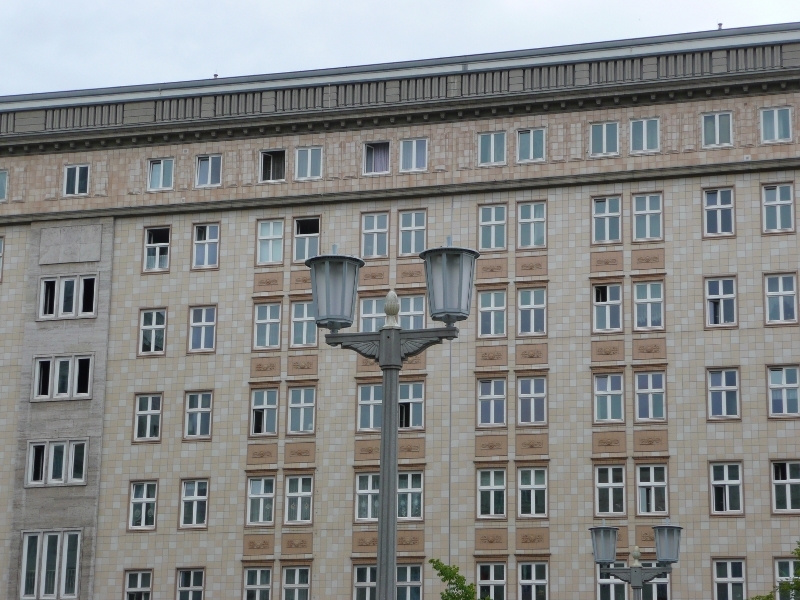 Berlin was divided into 4 quarters (sectors) during the Cold War: Soviet, French, British and American. R like… Restaurants. Arrived in Berlin from Heidelberg, I was surprised by the menu prices at restaurants, sometimes up to 50% lower. Berlin: a good place to eat out. S like… Schloss Charlottenburg. 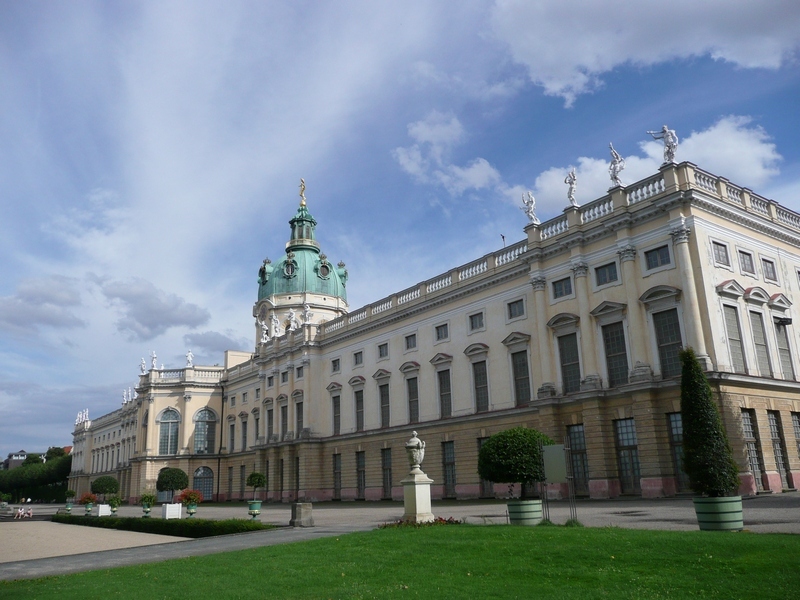 Charlottenburg Palace is located in the Charlottenburg district of Berlin, and was named in memory of Queen Sophia-Charlotte. T like… Trabant. The iconic car of East Germany. It is possible to visit Berlin on board a vintage Trabant. 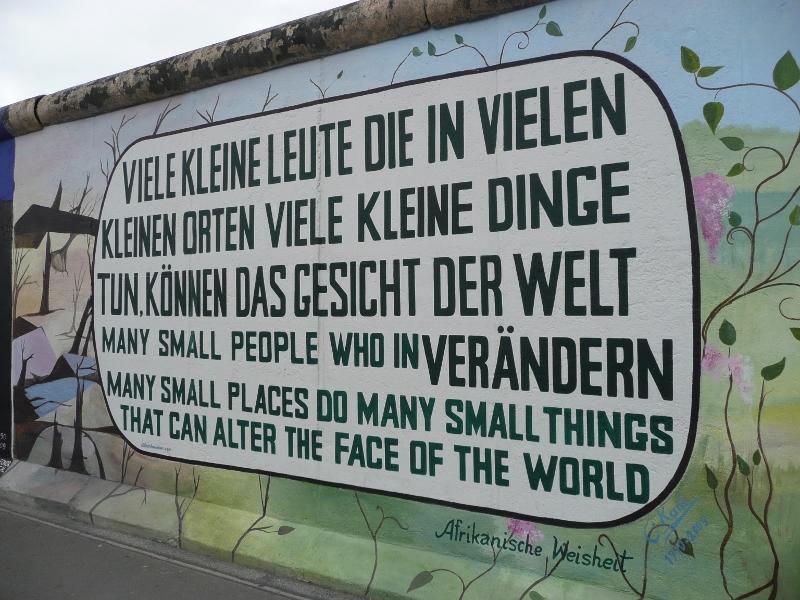 V like… “Viele kleine Leute…” The rest of this wise African thought, painted on a piece of the Berlin Wall, is to read on the photo. W comme… Weiße. Berliner Weiße. Berlin’s beer par excellence. Called “White” (Weiße), it’s nevertheless taking a green or red colour, depending on which “Schuss” you put, either Waldmeister or Himbeersirup. X like… aleXanderplatz. The ideal place to admire the Fernsehturm, 368 meters high. Y like… Yes, Alexanderplatz is the ideal place to admire the Fernsehturm, 368 meters high. Z like… alexanderplatZ, I was saying, the ideal place to admire the Fernsehturm, 368 meters high. Do you have some tips for people planning a long stay in Berlin and its region?